Winter is coming and for those of us who plant multi-seasonal gardens, the garden show continues with some of our favorites about to take center stage. If you find yourself in the need of a new blast of color this year, there are some easy ways to do so that won’t break the bank. 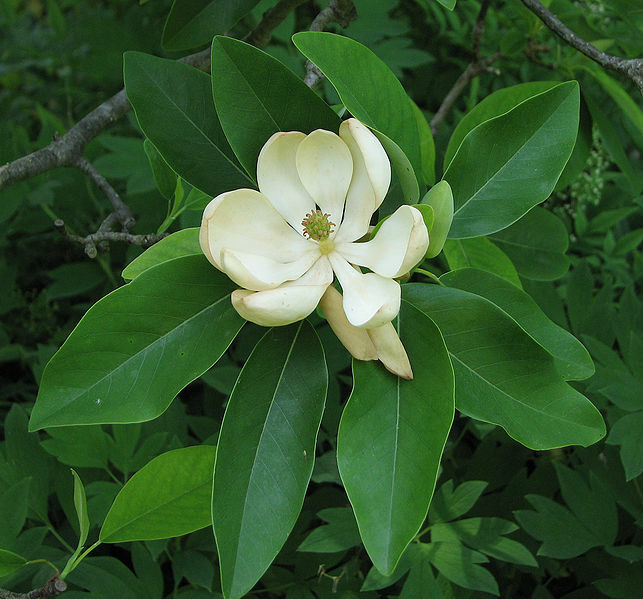 Introduce new shrubs that will add colorful stems to your landscape. One of my favorites is the Yellow Twig Dogwood for its display of the most beautiful shade of gold in winter. Display colorful containers. Add additional winter interest in unique and eye-catching containers in garden areas that may look barren during winter. Also add colorful containers in strategic areas that will enhance your winter landscape views from your home. Add Garden Accents. While one of my favorite garden accents is a nice colorful shrub, think about adding a plant with colorful berries, such as Nandina. 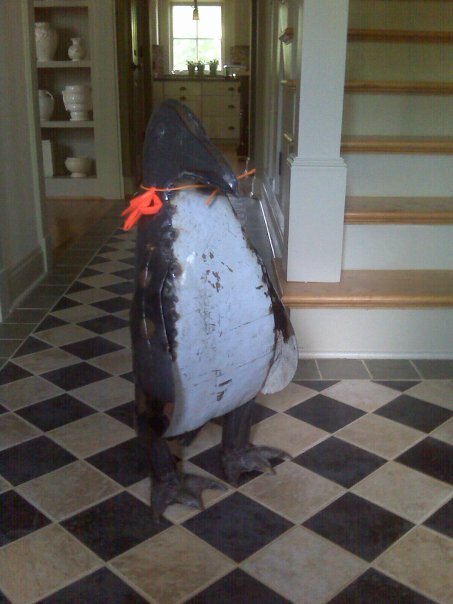 A metal sculpture, such as the penguin we sent to my in-laws in Los Angeles, can introduce some whimsical fun, while adding a new focal point. As cold fronts start to roll through, don’t turn your back on your garden! Our gardens are to be used and enjoyed year round, and you can take pleasure in your landscape and its healthy plants and various bright colors during all parts of the year. Colder weather causes the water inside the plant to freeze, which ruptures cell walls and causes the plants to die. When this happens, it’s too late to save your plant. The trick is to stop the freezing of your plants before it starts, no matter what kind of plants you have. The most important thing you can do to give your plants the best chance of making it through a cold weather is to mulch your garden now. Mulching will allow for moisture to be held in the plant’s roots while protecting and insulating the root system from sudden changes and bursts of cold weather. An added bonus? The mulch will decompose and add vital nutirients to the soil, feeding your plants during the winter.